When speaking with a former off shore driller from back in the late 1970’s and 80’s one day, I asked him, “did you ever think about what would have happened if you got hurt or died out there and what your family would do?” He said “not once”. Even though he knew that working offshore was dangerous, especially during hurricane season, he said back in the 70’s you just didn’t think about it. My question to you is, what would you or your family do? This is a serious question because serious injuries happen all the time in oil fields and natural resource development all across the state of Texas. The first thing you need to do, after you have received any and all medical treatment is to contact a oil field accident attorney. If you were hurt due to the negligence of another worker, another oil field company, or some other negligence, you deserve to be properly compensated for your injuries. Oil fields are home to heavy equipment such as drilling rigs, and heavy equipment, if used incorrectly or unsafely, can lead to serious injury and even death. Accidents happen, and you deserve to be compensated if you have been hurt. We have the experience you need to obtain the maximum recovery for your injuries. If you are unable to work, you can rely on our team of lawyers to look out for your interests. If a third party — such as a truck driver or the manufacturer of a defective piece of machinery — is responsible for your injury, we can also pursue a third-party personal injury claim that can compensate you for medical costs, pain and suffering and lost income. 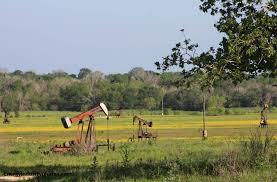 Our East Texas Oil Field accident lawyers will do everything in our power to maximize your recovery. You only get one chance at recovering for your injuries. Call the law firm who cares. Call Guest and Gray, P.C.